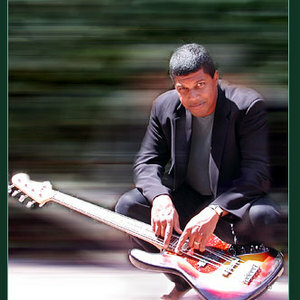 Reggie Hamilton is an American session bass guitar player born in New York City. Growing up in a musical New York household, Hamilton received a guitar at age five from his mother. He soon grew attracted to the sound of the lower end, and switched to bass guitar; acclaimed New York bassist Kim Clarke was his first teacher. Hamilton later took up acoustic bass and gained much experience playing in jazz and R&B clubs. At age 19, he was working for bandleader Michael Pedicin Jr. as a house bassist in two Atlantic City, N.J., orchestras. Hamilton declined a Philadelphia Music Academy scholarship to study double bass with Neil Courtney of the Philadelphia Orchestra and to study composition with Dennis Sandole. He continues to study double bass to this day, with Vincent Pasquier of the Paris National Orchestra. After moving to Los Angeles, Hamilton was introduced to jazz legend George Duke and legendary bassist Stanley Clarke, both of whom embraced Hamilton like a younger brother (Hamilton has often referred to Clarke in particular as his mentor). Due in part to the invaluable tutelage of Clarke and Duke, Hamilton quickly amassed a substantial discography and touring resum?. He has played and recorded with artists as diverse as Tina Turner, Luther Vandross, Boyz II Men, Whitney Houston, Gladys Knight, Johnny Hallyday, Enrique Iglesias, Randy Newman, Bette Midler, Aaron Neville, Doc Powell, Seal, Barbra Streisand, Natalie Cole, Sylvie Vartan, Warren Zevon and many others. Hamilton also has a long list of impressive film and television credits.